Highlights from DemandTec User Conference. San Francisco, always a great city for a conference, is the annual location for DemandTec’s customer conference. Intellectually stimulating as well as chock-full of content and announcements such as the unveiling of new partners and the network strategy, there was a lot to absorb in a short time. 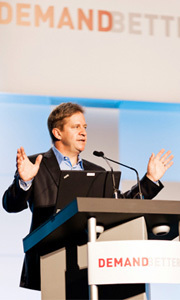 In this article I will discuss the DemandBetter 2011 conference, as well as give some insights into DemandTec and their progress. First, a recap of the conference and then some perspectives on DemandTec’s direction. The kick-off from Dan Fishback, President and CEO provided details about what DemandTec has done in the last year—acquisitions such as M-Factor and Applied Intelligence Solutions (AIS) as well as growing the network strategy with new innovations and new partners such as FoodLink and RivalWatch. Dan is clearly a crusader for the use of customer analytics and sharing that with trading partners to enhance sales performance. This is difficult territory for end-users to master, although those who do have tangible and dramatic results. There were customer panels and presentations from such companies as Kraft, Best Buy, Schwan’s Foods, FreshDirect, C&S Wholesale Grocers, RJO Produce Marketing, and Allen Lund Company. One panel focused on the value provided by DemandTec, and how retailers were using the solutions.1 Manu Sareen, Director of Pricing at Best Buy made an important case for “not losing the game in the 4th quarter.” In other words, the real power of pricing analytics lies in not pushing that mark-down button without thinking it through. Companies have lost millions by not analyzing the right moves on price. Mr. Sareen also pointed out that preserving margin is real value proposition for Pricing Optimization solutions. He also shared an important insight: pricing should not be a one-size-fits-all exercise; rather, the ‘cadence’ of planning should match the product life cycle. Some products change often; therefore pricing exercises should be done frequently. Products that don’t change much should be reviewed twice a year. Another important insight gained from this panel was the non-formula approach to implementation roadmaps. This means that the types of strategies and tools used are based on the type of retailer you are—based on the types of products, customers, channels, and formats you have. Of course, promotions were a big topic. Mobile/digital coupons is a hot topic in the retail world, so naturally, we had insightful presentations here. The smart/mobile platform is the choice for so many, and the value of the digital coupon (information integrated across the whole process—from brand company to retailer, and customer) is to actually measure the results of a promotion, as well as reach many new customers. Shopper Insights was another really important topic. Implementing this critical element within the customer-centric framework is the future. While most in the retail industry are still grappling with replenishment or implementing pricing, the leaders are learning to absorb the many forms of new data from such diverse sources as web, mobile, loyalty programs, and sales. There is so much to learn from customers and richness of solutions that they implement in a variety of ways, that I felt like we didn’t have enough time or enough of those vital user presentations. (There will always be next year.) Vital cases are super critical for companies now. The good news here is that DemandTec, not an overly chatty and open company, put up a new blog with news and insights for network members. 35% of DemandTec’s revenue is spent on R&D—a great number that keeps DemandTec in the lead in their category. 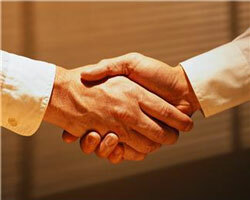 It’s a great value for a customer, who is assured long-term additive value from their relationship with the company. Other good news for DemandTec in the last year was gaining Target. Target’s embrace of Shopper Insights and how it can improve their merchandising and supplier relationships is something we should watch and learn from. This is the rarified high elevation of analytics—companies who understand their customers and create meaningful models with the shopper insight analytics and then share that data with their suppliers. This is still early adopter territory, not Main Street. But I truly hope that a year or two from now, I will call this Main Street, since the advantage of using shopper insights analytics is so profound. Networking is really the big future play for DemandTec. They are just at the beginning of this transformation. As mentioned, two new partners, RivalWatch and FoodLink joined the network, but DemandTec’s plans are to expand their partner portfolio significantly. The last few years have seen a rich selection of great tech companies introducing many new technologies for retailers, and each category will implement them differently. So DemandTec might have their pick of the best to include in the network. Their network will also include a social network called DemandTec Connect™. Typical application hubs are transaction oriented, not inclusive of people interactions. Social networking creates an opportunity for richer communications (what we call digital encounters) amongst trading partners, with the aim of enhancing collaboration. Last year was a big year for retailer portfolio rationalization and I had hoped DemandTec would have picked up more nuggets from the surge in technology spending. No doubt DemandTec gets their share of the pricing and markdown sales. As tough as it is to get that right, the space is still highly competitive with the behemoths in retail. DemandTec is trying to keep ahead of the pack. The footprint required for the demand-side in the retail industry is going fast. So it’s critical to absorb new technologies either through acquisitions or inclusion in a network, as well as develop more marketing and sales strategies to reach a broader set of buyers. In addition, financial analysts worry about DemandTec’s value over time in this highly competitive space. The message for users is clear—companies can work so much better by using analytics. And our many years and thousands of companies worth of research have taught us that most companies know they need to do a much better job with demand. So DemandTec analytics and network strategy can help DemandTec provide more value to all their users. The more companies that join a network, the higher the probability that the information shared between trading partners in the network can benefit the health of the members. So partnerships, again, are critical. There will be some mistakes and some less than stellar partners, but that goes with the territory. DemandTec needs to get a broader representation of the retail end-user on their network and avoid customer attrition. The partner model can help with that. DemandTec needs to understand the apps that their customers are using that can philosophically fit in the network dashboard and make these companies their partners. One other challenge that DemandTec has faced, and will continue to face, just by the nature of what they do, concerns the market space they occupy. Basic demand and supply data, Sales and Operations Planning, Replenishment, Merchandise Planning/Allocations are the basic bread, and pricing the butter. DemandTec is an Omega3 spread: the solutions for those who have the bread and now are ready to move up to better performance. The analytics category is fundamentally a smaller buyer segment in any application category from Demand, Logistics, or Financial applications. That might mean a smaller buyer market, for now. But the analytics market does grow in strength as companies get their base platforms in order. So what can DemandTec do to catalyze—educate—the market and make solution on-boarding easier and easier? Certainly SaaS does help here. All SaaS players, not just DemandTec, have to focus on making their solutions extremely sticky so that renewals are a given. In addition, these super analytic applications have to be well ingrained and deliver daily tangible value to maintain an organization’s support. This is no small feat for any technology provider, but for SaaS players the stakes are so much higher.